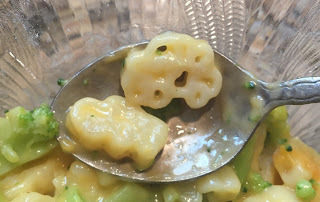 Birds Eye Pasta & broccoli With A Cheese Sauce was labeled as NEW and the package had Lightning McQueen and Mater. 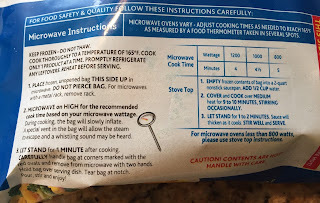 I put the bag with frozen contents for 4 minutes. 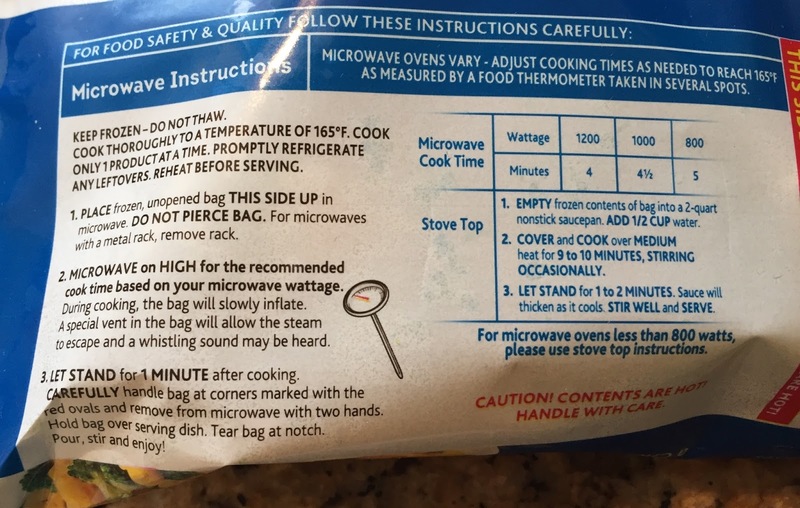 I placed the bag with the back side up (the side has "microwave instructions"), and the bag was pumped after heated. The pasta and broccoli weren't evenly mixed with the cheese sauce, and the sauce was separated with water from the broccoli, which looked not appetizing. 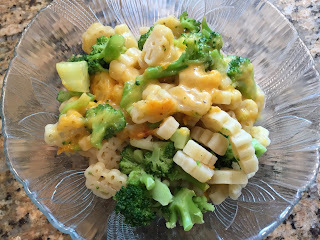 I mixed them well and finally the cheese sauce was combined well with other ingredients. 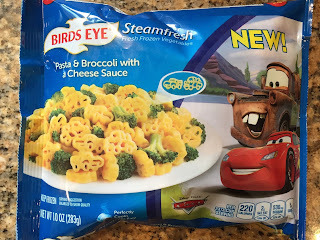 After covered with the cheese sauce, the pasta shapes were hard to tell, but the lower is Lightning McQueen and the upper is Mater. 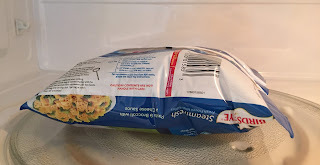 The cheese sauce was weak and didn't have much cheese flavor, and instead, it had strong onion and garlic flavors.